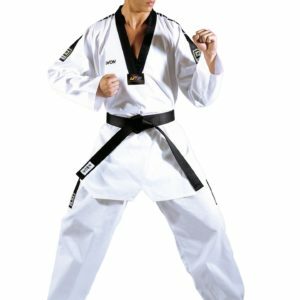 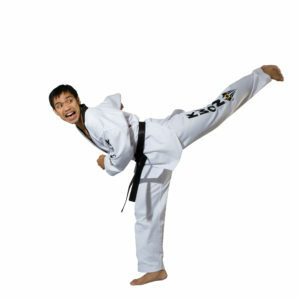 The very high-quality and over the years proven TKD suit is suitable for the training, as well as for the competition. 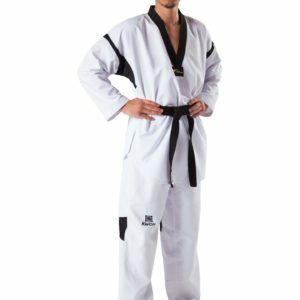 The Taekwondo suit is about 8 oz. 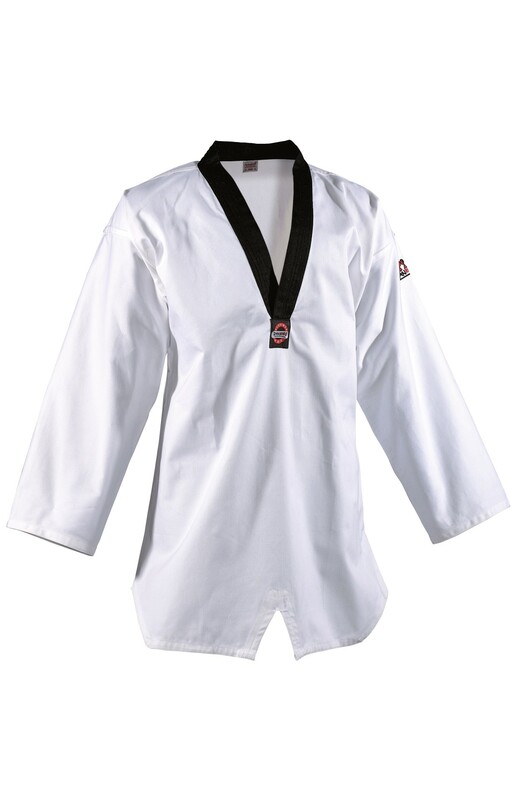 lighter 100% cotton. 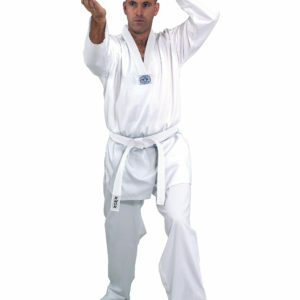 The jacket has a V-neck, the pants an elastic waistband with additional lacing.